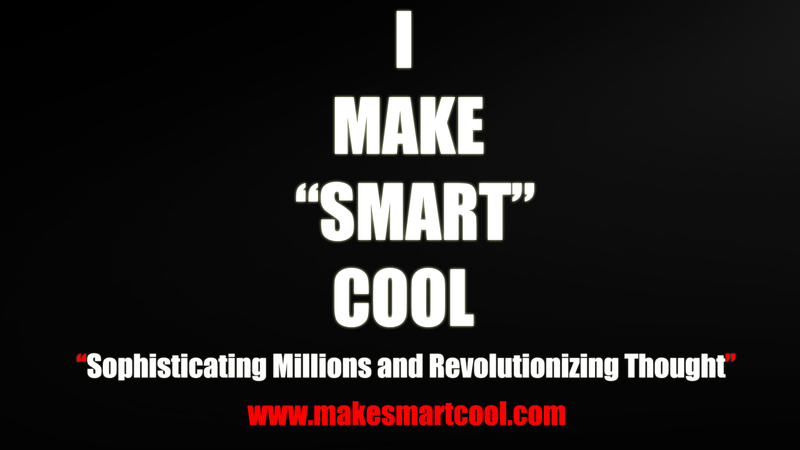 Mission | MAKE "SMART" COOL. SMART (Sophisticating Millions and Revolutionizing Thought): a movement dedicated to educating and sophisticating leaders. We promote intelligence to everyone, everywhere and integrate it with hip-hop. Being SMART was recently known as being lame, while being dumb was recently known as being cool. But our movement here today stands to Make “SMART” Cool. Being SMART doesn’t just mean academic excellence but rather the desire to learn and obtain information. As a follower of the SMART movement, you believe in yourself and want to strive to obtain knowledge and finally, Make “SMART” Cool. ‘MSC Merchandise can now be found here!